Dual sector Swinburne University is flagging a major restructure of its vocational training after falling short of revenue targets on the back of state government funding cuts and increasing competition from private providers. In a consultation paper issued to staff, Swinburne said revenue from vocational education and training had slumped from $123.5 million in 2012 to a now projected $70m this year. But it said its current organisational structure was predicated on the university generating at least $90m a year from VET, and alternative options now need to be considered. But the National Tertiary Education Union is demanding the university extend the consultation period, which ended on 19 September, and has already notified the university it is in dispute over the issue. 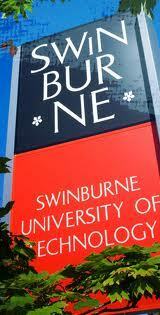 VET at Swinburne is currently spread over three separate centres, plus foundation provider Swinburne College and short course provider Industry Solutions. Their combined total revenue is just over the $80m a year, or similar to that generated by Swinburne’s smallest university faculty, the faculty of business and enterprise. The paper warns that the structure lacks economies of scale and is inefficient because the different centres often compete for the same students. It suggested two alternative models. The first suggests combining all five entities into the one division under a single executive reporting to the senior deputy vice chancellor and provost. Courses within the division could be organised by discipline or market segment. The second would be to merge the different VET courses and areas into the appropriate existing higher education faculty.